VisioCare Consult: Inform and entertain your clients with VisioCare Consult, an interactive tool for the examination room. 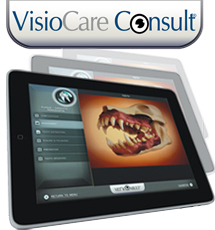 VisioCare Consult is a leading-edge collection of videos, animations, and 3-D images available via the Web or as an iPad application. 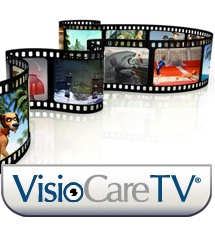 VisioCare TV is a unique service that is PROVEN to grow compliance by increasing awareness of the services and products you offer. Installed in your practice’s reception area, the sleek, flat-panel VisioCare TV screen educates and entertains your clients with engaging, 3-D animations on a variety of pet health topics. With VisioCare TV’s information fresh in their minds, your clients enter the consultation room primed to learn more from you about the services and products you recommend. 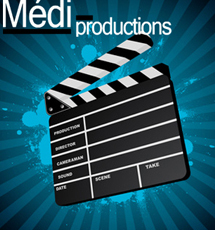 Our graphic studio specializes in the production of computer generated animations (3D digital images and cartoons) and audio-visual content. You are a product manager or a marketing manager in a health related company, and you should consider using our services. Please contact us to check our capabilities and ask for a free estimate on some of the work we produce. The New « Hand Free » leash attachment system is available! It is easy to hook the leash, no need for a knot. 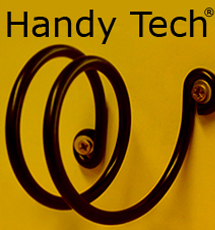 Handy-Tech has a nice design and is quite effective… It is always an issue to hold a dog on a leash while in the clinic! This is the best solution… BUY a set of Handy Tech now!